The indicator determines the appearance of bars that notify of the reversal of the current trend, and paints them in accordance with the bullish and/or bearish mood. < means the current bar. 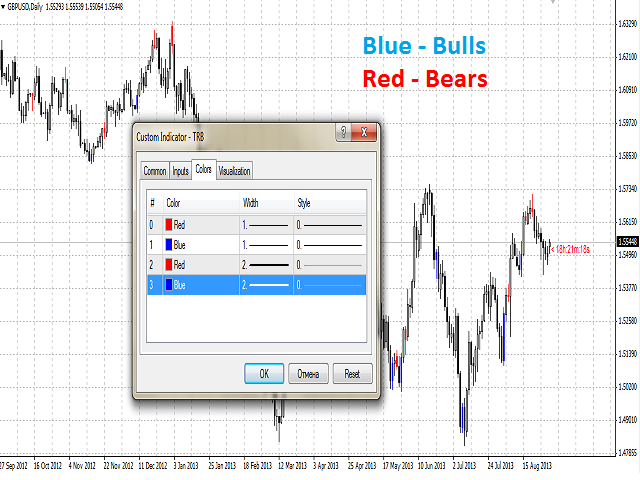 You can select the color for bullish and bearish moods. Sound_Play - a flag that allows the sound notification. Show_Time - a flag that allows the display of time remaining until the formation of the current bar. 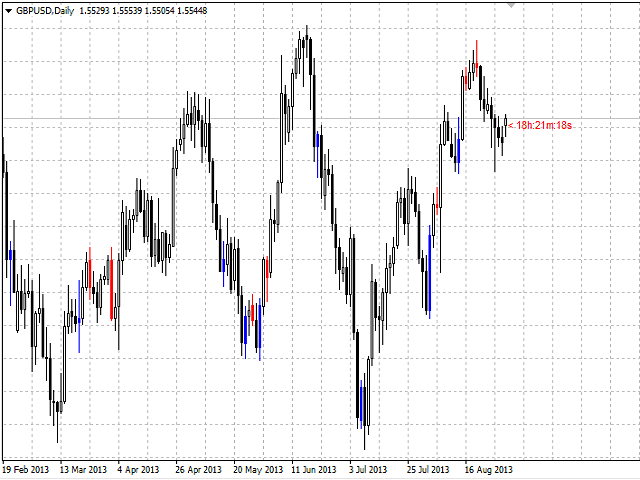 Detection of the reversal bar can be a signal to perform appropriate trading activities. 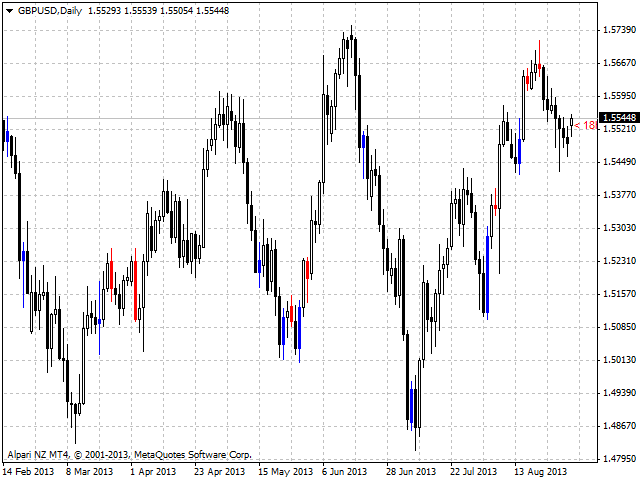 The indicator can be used for manual or automated trading in an Expert Advisor. 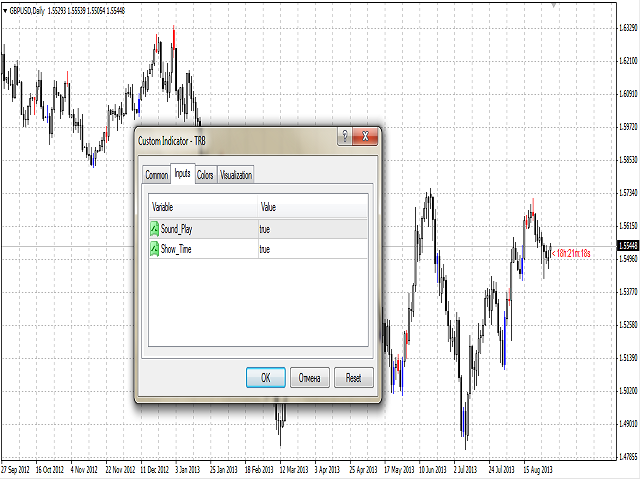 For automated trading it can use values of any indicator buffer of type double: 0, 1, 2 or 3. The value must not be zero! E-mail and push notification has now an information where the TRB pattern has been detected. Push and e-mail notifications are available now.